The start of spring seems to be a little slow given it is still cold and overcast. Here at Drysdale Timber and Hardware we have a well stocked nursery and all the garden care items you need. The first thing to start doing is getting rid of those weeds. You can try the tried and true method of hand removal or the lazy gardener with a weed killer. We stock a wide range including the well known Round Up So what are you waiting for. Drysdale Home has also introduced a new range of garden pots plus we now have our new outdoor furniture range that is well worth a look. So start planning now so you can enjoy your garden this summer. We have a great competition starting this week. Just use your rewards card and spend over $25.00 in one transaction to gain an entry. 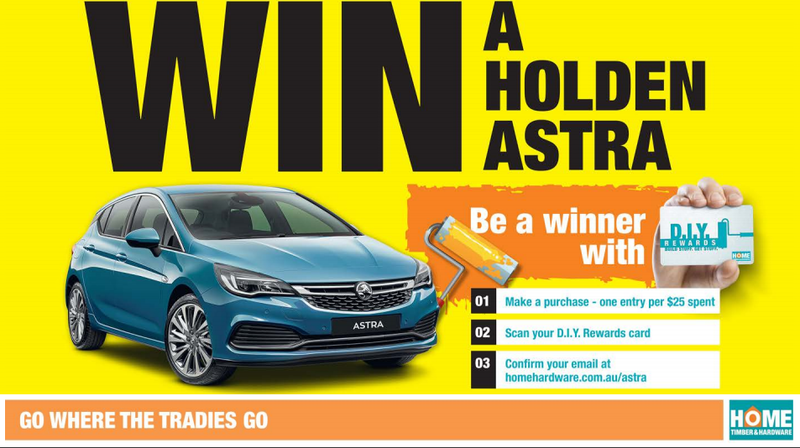 You could go into the draw to win a car.